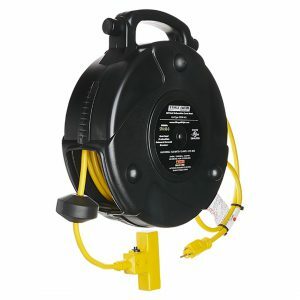 Stage Ninja 20 foot retractable power reel with single-tap head and circuit breaker (12/3 AWG). 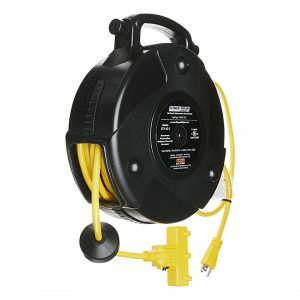 Stage Ninja 20 foot retractable power reel with quad-tap head and circuit breaker (12/3 AWG). 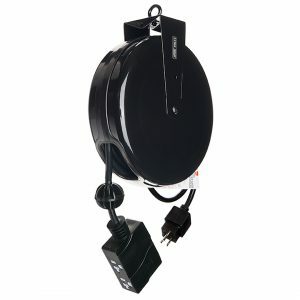 Stage Ninja 30 foot retractable power reel with single-tap head (16/3 AWG). 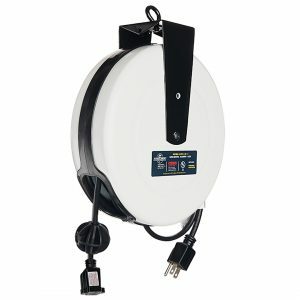 Stage Ninja 30 foot retractable power reel with 3-tap head and circuit breaker (14/3 AWG). 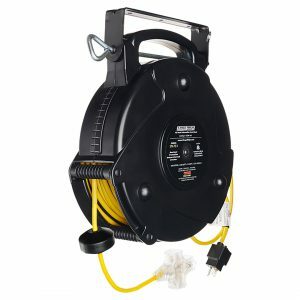 Stage Ninja 40 foot retractable power reel with 3-tap head and circuit breaker (12/3 AWG). 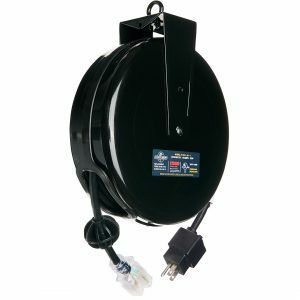 Stage Ninja 45 foot retractable power reel with single-tap head and static perpendicular plug with 20 amp circuit breaker (12/3 AWG). 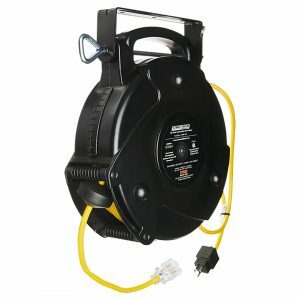 Stage Ninja 50 foot retractable power reel with 3-tap head and circuit breaker (14/3 AWG). 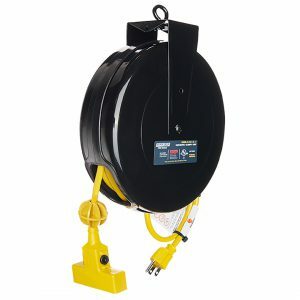 Stage Ninja 65 foot retractable power reel with single tap head and circuit breaker (12/3 AWG). 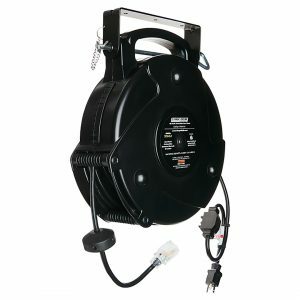 Stage Ninja 65 foot retractable power reel with 4-tap head and circuit breaker (12/3 AWG). 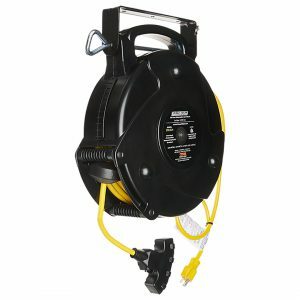 Stage Ninja 75 foot retractable power reel with 3-tap head and circuit breaker (14/3 AWG).